In February we celebrate love, and honor our loved ones. This is especially true in Freemasonry, as we take this opportunity to honor our sweethearts. 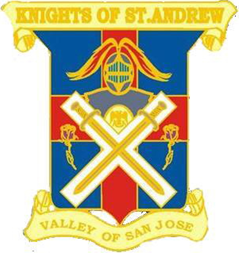 It is the tradition of the San Jose Scottish Rite, at our February stated meeting, to welcome the widows of our members, and let them know how important they are to us. Please make sure that you are there to help us show our beautiful sweethearts how much we care. It is not too early to start planning for the Spring Reunion. 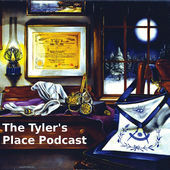 We are hoping for a large class this year, so talk to your lodge brothers about Scottish Rite, and get their petitions. It usually doesn’t take a lot of selling to convince a Mason to join Scottish Rite, but it does take a conversation. So engage and help us grow our membership. You have no doubt heard about our upcoming trip to New Orleans this year, coming up September 20-27. This will be a fun and exciting trip, as we tour a fabulous city, and enjoy fellowship with our Scottish Rite brothers from Louisiana. See the flyer in this issue of the Rite Word and sign up for the trip. It won’t be the same without you. 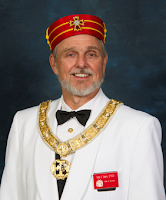 I’m looking forward to a great Scottish Rite year, and hope you will be an active part of it. I hope to see you soon.